To say i was impressed when this 4 track ep by Apta hit my inbox is an understatement. I knew Apta, the solo project of Barry Smethurst, from the his work with the Circle Project, and I did play a track back in February called ‘Little Waking Light’.This EP, titled Algorithms, is just splendid. Lots of melodies intertwine with each other, electronic sounds with IDM overtones is really pleasing to the ears. There is a certain organic simplicity about how it sounds, but there is also the complexity of having multiple melodies playing at the same time and having the overall feeling that they all fit. That has always impressed me with songwriters, how to have all these multiple melodies and beats playing and not making it sound messy. So the four tracks, titled Rise, Break, Shadows and To The Sky all have a certain beauty, and a slightly different feel, contained within each track. Overall there is a growing melancholic feel to it, the first track is fairly upbeat but gradually each track seems to slow down ever so slightly. The field recordings on To The Sky at the end are a touch of class and kind of close the curtains on the whole EP, as if this EP is closing act one and the next act is to follow. Thank you to Thomas for having the vision on securing this outstanding release for the ‘We Are All Ghosts’ net label and thank you to Apta for sharing your creativity with us all and here is hoping the next release is not too far away. 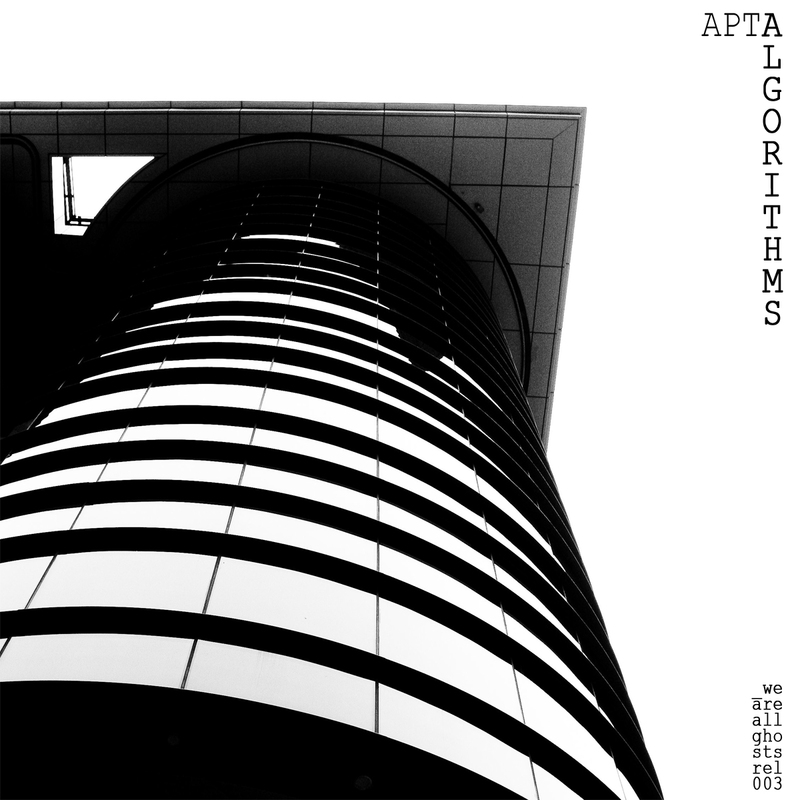 Apta is a one man Electronic / Post-rock / ambient project from Manchester, UK. I now live in Cardiff and spend most of my free time fiddling with synthesisers, Morphing sounds and listening to vinyl.The music I write is almost entirely original, using very few samples. The drums, keys, and synthesisers are all Virtual instruments sequenced through midi, but the guitars, and Harmonium (where applicable) are live instruments. Most of my inspiration comes from great electronic acts of today (Four Tet, Tycho, Clark, Aphex Twin) mixed together with old electronic pioneers, and analogue synthesis ideals. Together with this is a healthy love of post-rock in ALL of it’s forms, (GYBE! are probably my favourite band of all time, The Echelon Effect and The Eternal Twilight, more close to home, are big influences), brought about mostly due to being a writer for the (now defunct) Silent Ballet. I have a great appreciation for all things musical, and enjoy music in almost all of it’s forms. My goal is to develop my sound, and to make music I am truly proud of, that is well written, and (more challengingly) impeccably produced. It is a learning process, but one I enjoy hugely. Founded by music fan Thomas Mathie aka Headphonaught as a means of giving back to the independent music community…… We Are All Ghosts is a small non-commercial netlabel based in Motherwell, Scotland; that specialises in ambient electronic soundscapes but is open to other styles of music. This entry was posted on June 5, 2012, 10:01 pm and is filed under Playlists. You can follow any responses to this entry through RSS 2.0. You can leave a response, or trackback from your own site.